Community Captured Magazine is published and delivered 12 times per year to Homes and Businesses in South Mississauga by Canada Post, agreement #41362062. DISCLAIMER: Every effort has been made to publish this magazine as accurately as possible; however errors and omissions can occur. 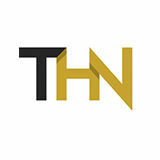 THN Publications Inc., their employees, agents, representatives and vendors are not liable for any damages relating to errors or omissions in the editorials or advertising which may appear herein except where a specific charge has been made. In such cases THN Publications Inc. shall have limited liability only to the charge for such advertising or editorials. *Awarded by RE/MAX International for Sales Team Achievement. Neither Peter nor Kathryn intend to solicit other realtors active listings or buyers under contract. As a Doctor of Chiropractic & Olympic Athlete, Dr. Gavin Maxwell wants to work with you to ensure your body is performing at its peak potential. At Finish First Health & Performance our goal is to partner with you to alleviate your immediate injury and work with you to achieve your long term goals. I am trying this one out myself. I don’t think standing for a full 8-10 hours a day is healthy, so I suggest doing a mix of standing, sitting and leaning to break up your day - giving you the flexibility to get away from just sitting all day. Doing any standing is better than none at all - so start gradually and listen to your body. Diffusers, Nebulizers and Essential Oils. I’m always curious to hear the health benefits of certain products and improve the air quality of our home. These claim to: Improve your mood, assist with focus & concentration, support relaxation, and boost the immune system. They create negative ions to inspire feelings of peace and well being, and a great smelling home or office! I’m seeing a lot of script fonts and hand written messages on home décor items. I love the look of beautiful typography in quotes, song lyrics and even secret messages on everything from pillows, artwork, blackboards and furniture upholstery. The paint, not the book. We Canadians still love the clean neutral look of grey paint. It can feel moody or modern. Anything from a light greyish white all the way to the deepest almost black tones are still hot, hot, hot! I’m also excited to see it used to paint trim, baseboards and interior doors. Try: Grey Owl OC117 Benjamin Moore. I see covered decks, fire pits and fireplaces, environmentally friendly decking and some comfy outdoor furniture in your future! Home décor usually follows clothing fashion so I see tassels on purses, necklaces, boots, and more! So you know they’re coming to accent home décor soon. They can be too fussy for my liking but a few on cushion corners or throws brings a sweet feminine touch to any room. To read all 16 trends please find them on the blog page at: www.ColetteRabba.com/blog. COLETTE RABBA is a Licensed Realtor® with Right at Home Realty Inc., Brokerage in Mississauga, She’s ready to list your home or take you on a home buying adventure! FEED THE WILD BIRDS OF RIVERWOOD HOT CHOCOLATE & WILD BIRDS - what better way to spend your day? It’s a great way for adults and children of all ages to celebrate the holiday season and experience nature first hand. The opportunity to get up close and personal and have the birds eat directly out of your hand is a memorable experience. 07 01: Feeding the birds. 02: One of the many bird feeders along the path of the Credit River Valley. 03: Jennifer Trigiani enjoying the experience. 04: Aisha Hassen with Sarah Malik feeding the chickadees. 05: Diane & Christine being as still as possible. 06: Kaiden, Lana and Aliyah watching a chickadee approach their hands. 07: Eating from the palm of your hand. 08: Stephanie & daughter enjoying time together. 09: Wood carving of eagles. PORT CREDIT LIGHTHOUSE December 1st, 2015. DESPITE THE RAIN, crowds gathered to watch the lighting of the iconic Port Credit Lighthouse. Students from TRox were on hand to entertain us with festive music. Santa arrived in a flatbed truck to the delight of all the children. Frank from Gourmet Roasters had fresh roasted chestnuts and delicious corn on the cob for all to savour. The Port Credit BIA gave out glow sticks to the young and old. Hot chocolate and cookies were served by Port Credit Secondary School volunteers. 01: Kids (Katia, Matteo & Ella) with Mom (Vanessa) and Dad (Drazen Bratic), waving their glow sticks. 02: Frank from Gourmet Roasters offering corn and chestnuts. 03: Lighthouse. 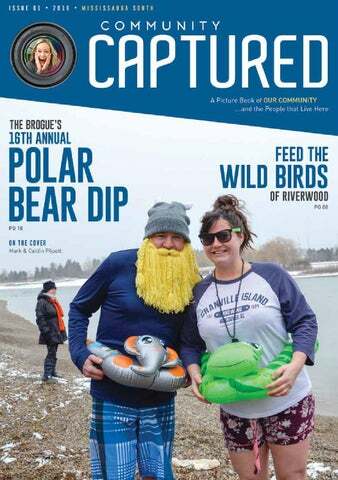 Local Artists hit the streets of Port Credit starting East at the Lakeshore Pools parking lot where BeaverTails, Corn on the Cob and Hot Dogs were available while listening to rocking Christmas Songs. Moving West to the alleyway of Captain Candy, the music continued and Santa arrived to dance and sing with the crowd. 01: Entertaining to a very appreciative crowd. 02: Tracy & Calum Knott awaiting their BeaverTails. 03: Brenda enjoying her delicious corn on the cob. 04: Ray & Joanne with Julien & Dahlia. Banquet & Convention Centre Inc. Whether you choose one of our elegantly appointed rooms or would prefer we come to you, our service is guaranteed to exceed your expectations. We are conveniently located on the Mississauga/Oakville border, minutes away from the Q.E.W. A fundraiser in support of Trillium Health Partners Paediatrics Comfort Cuddles. For every child needing to be brave for surgery, an invasive Procedure, or who just needs a Cuddle in order to feel safe; a Comfort Cuddle goes a long way in helping reduce hospital anxiety, provide therapeutic support and create a positive atmosphere. 01: Supporters Roz Gareh, Gail Lavalley, Ron & Vivien Long, Gloria Mayers & Rob Small. 02: Michael with his daughters Sarah & Nicky. 03: Organizer, Penelope Mathieson. 04: Dave Boyce with his donations. ROC’NDOC’S Great music, Great food, Great party. Roc’n Doc’s held a fabulous client appreciation party on December 7th. The Wine Ladies and MADD Virgin Cocktails were on hand with bands playing all night long. 01: Tim, Maxine, Cathy, Bruce, Sue & Bruce enjoying the lively atmostphere. 02: The Andre C. Mendes Band performs. 03: The Wine Ladies Susanne Seeling with MADD Virgin Drinks Jou J Klevinas. 04: Partygoers Susan, Henry, Linda, Christine & Dan. 05: Mustafa, Sue, Mike, Jacob & Rachel. The Windmill Theatre celebrating the 10th Anniversary Christmas Concert with a glorious festival of traditional carols and seasonal music. 15% off paint and sundries. Restrictions may apply. Valid until March 31st, 2016 See store for details. 01: Performance of What Sweeter Music. 02: Decisions, decisions. 03: Artistic Director Brian Pritchard with Musical Director Joshua Tamayo. 04: Enjoying the ambience of the First United Church. 03 01: PCBIA General Manager, Ellen Timms with Sharine Ahmed. 02: Guests Linda, Imma with Ko. 03: Dancer, Julia with Rena & Andrea. FLOWERS FOR FOOD HOSTED BY THE KATE PETERSON TEAM THE KATE PETERSON TEAM would like to thank all who contributed to this year’s Flowers For Food event, in support of the Compass Food Bank. The event ran from November 30th to December 5th at the office of Keller Williams Realty Solutions in Port Credit. In exchange for non-perishable food donations, contributors received a beautiful poinsettia to brighten up their homes. Carollers and student volunteers equipped with jingle bells and Santa hats helped bring in the cheer on the final day of the event. Location - Le Treport Banquet & Convention Hall 1075 The Queensway East, Mississauga The Full Circle â&#x20AC;&#x153;Pink & White Casino Night" event will benefit the Sponsor a Child program, as well as a number of local charities. 100% of the money raised will be distributed to underprivileged children and their families to attend the Mississauga Waterfront Festival, enjoy food, carnival rides and have a weekend of fun for free. BEST GARDEN: The Enabling Garden, part of the Riverwood Conservancy, located on the Credit River in Mississauga. Never heard of it? This pretty but practical beauty spot helps people with disabilities enjoy a taste of nature. And get this: the garden recently won top honours in a U.S. National Garden Bureau contest, beating out finalist gardens in New York state and North Carolina. Pretty exciting news. Congratulations to everyone involved. ...imagine a garden where someone in a wheelchair is able to plant and weed to their hearts content; a garden where women who have suffered from physical violence can see not only the beauty around them but also in themselves; a garden where children with disabilities can see, touch, taste and learn about the natural world; a garden, where everyone is welcome. Of course, as she goes on to describe, such a garden does exist: The Riverwood Conservancy’s Enabling Garden. Everything about the garden is designed to make it accessible for all people, from its wheelchair ramps and raised beds for the disabled, to plants with white, yellow, and orange flowers that are more easily seen by people with vision loss. With growing national recognition and our recent National Garden Bureau win, Riverwood and the Enabling Garden are rapidly shaking off the “Never heard of it” label. But now that you’ve heard of Riverwood, isn’t it time to discover for yourself the joys and experiences that make Riverwood such a special place? TRC offers programs year-round for adults and children of all ages. TRC is a volunteer-based charity that provides programming in stewardship, gardening, environmental education and volunteerism to the community. We are located in Riverwood, 60 hectares of natural green space in the heart of Mississauga, just north of the intersection of Burnhamthorpe Road West and The Credit Woodlands. Riverwood straddles the Credit River, and is known for its abundant wildlife and natural spaces, the historic Arts and Crafts style Chappell House and the 19th Century MacEwan Field Station. For more information, visit: www.TheRiverwoodConservancy.org. 01: Boy with stone. 02: Tilling the vegetable garden. 03: Plant connection. 04: Dan & Tryphena. POLAR BEAR DIP OVER 30 BRAVE SOULS dared to take the plunge off the shores of Lake Ontario on a snowy January 1st. Some came in costume and some in bikinis. The youngest participate, 10 year old Aurora said “the water was freezing and as soon as my head went under I thought GET OUT QUICK!” Everyone returned to the Brogue where good food and drinks and a silent auction awaited them. All proceeds were in aide of Ian Anderson House, Canada’s first residential cancer hospice. It is The Brogue’s owner Tommy Donnelly’s dream to have one such hospice built in the Mississauga South area. 01: Aurora with parents, Eleanor & Karl. 02: John, Vanessa, Sean, Kat, Carolyn, Brooke. 03: Scott, Rhonda, Bernice, Shannon. Everyone met under the Gazebo in Port Credit Memorial Park on an unseasonable warm and festive December evening as Jody Malone and her Singsations Choir from Cawthra Park Secondary School lead us in the singing of 24 classic Christmas Carols. The large Salvation Army Mississauga Temple Band was the perfect accompaniment. There was a large cauldron filled with warm cranberry punch and trays of delicious shortbread cookies made by the culinary students at Gordon Graydon Memorial SS. A fun and festive evening was had by all. 01: Salvation Army Mississauga Temple band. 02: Noah & Elouise. 03: Janina handing out cookies alongside Janice, event coordinator for 41 years. 04: Sarah, Kathy, Adriana & Natasha. OPEN HOUSE A warm and inviting ambience was set by host Antoinette Scrocco for an afternoon of good cheer with old friends and new. A gorgeous table was set with delicious goodies to enjoy along with the featured tea “Sleigh Ride”. Over $2,200 was raised in support of the less fortunate in our community who will find it easier to feed their families this December, through St. Vincent de Paul, an international organization who is committed to bringing hope, love and assistance to the poor and others in need without judgment or prejudice. 01: Some of the generous donors. 02: Oscar helping with the festivities. 03: Anne, Heather, Erin with host Antoinette. 04: Anna & Laura enjoying all the yummy goodies. 05: Tea Grannies, Lisa & Margaret. FUN OUTDOOR DRAMA! Everything from angels, live animals, shepherds, Mary and Joseph and a newborn child. 01: Thomas, Lucas & Jane Zingone enjoying hot chocolate and cookies. 02: Kai and Mya with dad (Sherwin) and mom (Erin). 03: An angel with her helpers. 04: Colouring and watching Veggie Tales. 05: The Shepherd. 06: The Nativity in front of Saint Andrew’s Memorial Presbyterian Church. PACKAGES & GIFT CARDS AVAILABLE! It’s a question most of us ask every day. With evening routines packed full of extracurricular activities, chores and preparation for the following day, we don’t always have as much time as we’d like to make dinner. Fortunately, a quick, delicious and healthy meal can still be an option for your family, even when you’re short on time. All it takes is a little planning, some common ingredients and one trip to the grocery store. TUESDAY Soup can be a quick way to have dinner on the table in minutes - and it allows you to use up vegetables that may be near the end of their shelf life. Try a Broccoli Cheese Soup (recipe follows), a classic favourite that the whole family will enjoy. There’s minimal precooking required - simply steam the broccoli, measure the remaining ingredients, put them in your blender and start the program. When the program completes, pour into bowls and garnish with extra steamed broccoli florets and bit of grated cheese. For a heartier meal, chop and add grilled chicken chunks. Serve with crusty bread and a salad for a complete dinner. WEDNESDAY Whole-wheat pasta with basil walnut pesto is a crowd pleaser. Take fresh basil, Parmesan cheese and walnuts and puree with garlic, olive oil and lemon juice in your blender for a quick and easy sauce. If there are stuffed pepper leftovers, chop and heat for a tasty pasta topping. Make a large batch of pesto and you can use the leftover portion later in the week. THURSDAY Throw together a chicken stir-fry for another quick weeknight meal. Chop up your favourite vegetables, including extra cauliflower, onions and carrots from Monday’s stuffed peppers and broccoli from Tuesday’s soup. Sauté the vegetables with cooked, cubed chicken and a mix of soy and teriyaki sauces. Serve over rice and offer a spicy chili sauce for those who like it hot. INGREDIENTS FRIDAY You’ve made it through the week. Why not treat your family to pizza? Top a ready-made, wholewheat pizza crust with your leftover pesto sauce, cheese and any toppings you’d like. Add peppers, mushrooms and vegetables you chopped for the soup and stir-fry to create a veggie delight. Follow the cooking instructions on the pizza crust package, and you’ll be ready to kick off your weekend in no time. With a bit of planning, you can shop once and have your dinners set for the week. Buy canned or frozen fruits and vegetables in bulk and try to prepare at least two meals using the same ingredients. Even with hectic schedules, families can prepare and sit down to a satisfying meal every night of the week. All shapes and sizes were on hand to get their pictures taken with Mr. Claus. The Animal Shelter and Friends of the Museums were there with their warm and helping hands to keep everyone looking at the camera. All proceeds went in support of the Mississauga Animal Services Special Care and Resources Fund (S.C.A.R.F.) and Friends of the Museums of Mississauga. 01: Santa with Geordie. 02: The crew in action. 03: Santa with Animal Services volunteers. 04: Jonathan and Rogue, Olivia Resendes and Sawyer, Jackie Simmonds and Charge. December 6th, 2015. Pictures were taken with Mr. and Mrs. Claus at the hearth in the rustic log cabin. A jolly time was had by all with cookies and candy canes as special treats. Proceeds in support of the Friends of the Museum of Mississauga. 01: Nyah and Kai with Santa and Mrs. Claus. 02: Donations for the Compass Food Bank. 03: Friends of the Museum Volunteers Joyce, Becky and Gail. 04: Nicolas, Gabriel and mom (Monica), Owen and mom (Christine). A tractor trailer load of turkeys was delivered to the MISSISSAUGA FOOD BANK on Dec. 15, thanks to the work of community members and a guy from Lakeview. The 7th annual Charles Sousa Holiday Turkey Drive raised $21,000 - enough to buy 640 turkeys as part of the ‘Twas the Bite Before Christmas fundraising campaign. “I’m always inspired by the generosity of our community during the holidays and throughout the year,” said Sousa, the Mississauga South MPP, adding the community’s “tremendous goodwill is appreciated by many families during this festive season.” The Ontario-raised turkeys will be distributed to families in need via the MFB and the Compass Food Bank in Port Credit. Raising more than $130,000 since 2009, the annual event has donated at least 4,100 turkeys. The initiative “is an important part of ensuring that those living in poverty in Mississauga receive healthy food for their families this winter,” said MFB executive director Chris Hatch. Port Credit BIA general manager Ellen Timms said the drive unites the south end of the city. “It’s a privilege to be a part of such a generous and caring community,” said Timms. CHRISTMAS PARTY WITH SANTA The residences of Wawel Retirement Home gathered together to celebrate the holidays with some traditional singing, delicious treats and a much-anticipated visit from Santa who gave everyone presents. The entire staff participated with some arriving as elves. There was sharing of bread and lots of warm wishes. The LP Booster Club held a sold out event at the Clarkson Pump recently. A fantastic evening was had by all with great food, door prizes and raffles. 04 01: Junior Footballers: Sawyer, Anthony, Wade, Sam, Liam, Sam & Ryan. 02: Winners of the Argo’s season’s tickets. 03: Alison with her dad, Alan Forde. 04: Scott & Heather with Naushaba & Lisa. HAIRSPRAY MUSICAL AT CAWTHRA PARK S.S.
Our production of Hairspray was a big success this year with sold out performances to over 3,300 patrons in 4 days! There were 56 cast members, 15 orchestra players and 87 crew members working backstage and 15 staff members involved in this exciting show that dealt with racial integration in the 60’s. A portion of proceeds raised was donated to refugee effort as Cawthra strives to raise $15,000 by year’s end. WASTE COLLECTION Days are Changing in JANUARY BRAMPTON, ON (DEC 7, 2015) - Bi-weekly cart-based waste collection begins the first week in January. Peel residents are encouraged to visit peelregion.ca/waste and use “WHEN DOES IT GO” to find their new collection day for 2016. Cart deliveries continue in Mississauga and are expected to be completed by December 19. Organics carts are being delivered separately from garbage and recycling carts. The exchange program for carts begins in April, 2016. Under the new program, garbage and organics will be collected one week and recycling and organics will be collected the next week. The ‘WHEN DOES IT GO’ tool will tell you if your first week in January is garbage or recycling collection. Service for damaged or missing carts continues in all areas of Peel. If your cart is damaged or missing, please report the problem online. The website includes short videos to help you fix minor problems. “The mobile-friendly website offers address-specific collection schedules, information about what goes in each cart and a tool to report problems. We encourage residents to visit the site for everything they need to be ready for January,” adds Lee. says Peel Region Waste Management Director Norman Lee. SECONDARY SCHOOL Gordon Graydon Memorial Secondary School was closed, for the Winter Break, December 21st, 2015 - January 1st, 2016. Students returned to school, following the break, completing course work as they prepare for final culminating activities and final examinations. Those students enrolled in our International Business and Technology and Graphic Design Management Regional Programs were actively engaged, with their teachers, in completing portfolios and career pathway reflections. With this work, students prepare for the completion of post-secondary applications and interviews as well as the world of work. In the Arts we have enjoyed both Vocal Night and ‘One Enchanted Evening’ a performance by our instrumental Music Department. Students in Drama are hard at work on their Sears Festival entries, determined to have a good showing this year. In the Visual Arts, a semester of hard work is making itself known throughout areas of the school with exhibits of student work in the Library and Main Office. Athletics continues to keep students involved at Graydon. The basketball, volleyball, badminton and swimming teams have been busy competing with schools throughout the region of Peel. The swim team recently competed at the Pre-ROPSSAA meet where all students obtained personal bests. A number of teams will start practices and competitions once Semester Two begins the first week of February, 2016. Gordon Graydon is very happy with the number of applications received for the school’s two Regional Programs (IBT and GDM). We are hoping the students, who showed interest, will accept spots when offered. Graydon is an amazing school with many opportunities for academic, social and personal growth. Student who attend Graydon are offered a solid academic experience plus opportunities to participate in numerous extra-curricular programs. Graydon is golden! With final examinations dates set from January 26th - January 29th, 2016, the school will not be, the usual, buzz of activity throughout the month of January. Staff and students will be focusing on prepping and review for these evaluations. We, at Graydon, value the many activities that happen outside the classroom. However, students and staff will be spending time valuing success for all in their academic endeavours. Anyone wishing information about Gordon Graydon Memorial Secondary School is asked to check out the schools website at: www.gordongraydon.com or call us at 905-274-2391. We will be happy to answer any questions you may have about the school. Students at LP are winding down their semester and preparing for the exams coming at the end of January. It has been a very successful semester here at Lorne Park. In Athletics, the winter sports season is in full swing with men’s basketball, women’s volleyball, swimming and alpine skiing in competition. Men’s rugby and women’s lacrosse have also begun preparations for the spring season. Student course selection for next year will be wrapping up about the time of the printing of this edition and parents of LP students should have had an opportunity to review the course selections for their students for next year. Should there be any questions regarding a child’s course selections please do not hesitate to contact the school at 905 278-6177 and ask to speak with one of our Counselors in Student Services. There is a lot of information regarding this process on our website as well. Check us out at www.lpspartans.ca and click on the Course Selection link on the right hand side of the home page. they had learned from their placement. The event was well attended by students, staff, parents and our community partners. International Human Rights Day was observed on Dec 10th with the annual Write for Rights event. This event is organized by Port Credit Secondary School’s Free the Children club. Write for Rights is an Amnesty International campaign intended to bring awareness to international conflicts. Students discussed human rights issues, as well as write letters to government officials for human rights. Students also shared messages about human rights on social media using the hashtag #Write4Rights. On Dec 11th, PCSS welcomed the world with our annual Cultural Unity Fair. PCSS clubs, teams and councils displayed costumes and facts about cultures from all over the world. Each display also featured food from that part of the world. Many staff, students and parents came to participate and feast! ROCK CLIMBING IN THE GYM: During the week of 7th, PCSS Physical and Health Education students had the opportunity to try rock climbing here at PCSS provided by Escarpment Outdoor Adventures. The gym was transformed into climbing walls and giving students a chance to test their strength and skill in a safe environment, while at the same time have fun. Staff members were also involved in some climbing skill competitions. HOLIDAY SPIRIT ABOUNDS: During the Holiday Season, PCSS always has events of goodwill occurring. Students and staff run several events including Toys for Tots, the Mitten Tree, our Penguin drive and finally a food drive. Our Leadership students worked hard on our Penguin fundraiser for the Share the Joy campaign, we held our annual food drive and our annual Toys for Tots drive. Also, hats and mittens were donated to help populate our Mitten Tree for families in need. find that anxiety and stress can reduce their energy levels and attention to tasks at hand. So December 3rd was designated as Wellness Day. Students chose from activities like yoga, mindful meditation, making Christmas treats and crafts, playing badminton, volleyball or swimming and learning languages like German and Bangla among the many activities offered. Sessions were lead by both staff and students and officers from the Peel Police joined in with ball hockey outside and offered competitive action and community support. FOOD AND NUTRITION On December 10th, the students in the Grade 10 Food and Nutrition course had the opportunity to visit Loblaws and take part in the Nutrition in Our Aisles field trip program. The students received a hands-on nutritional tour which was led by a registered dietician. The dietician provided practical tips to help the students make healthy food choices when shopping and also made direct connections to Canada’s Food Guide, nutrients, and the importance of reading food labels. Experiential learning opportunities such as these are valuable ways to engage students while they apply the knowledge from the course material to everyday life. On Thursday, Dec 10th, the Port Credit Secondary School’s Music Department presented their annual Winter concert titled “Winter Serenade.” The concert was a huge success and featured our band and string ensembles, each of which performed an eclectic array of music. This year, the Chamber Strings ensemble, one of the ensembles in Port Credit Secondary School’s Regional Strings Program, featured a violin concerto by Vivaldi, and a cello solo as part of a Pirates of the Caribbean medley. The concert concluded with a grand finale featuring 100 string players on stage. We hope to see you at our Spring Concert in May! Going into its 4th year, the annual PORT CREDIT COMEDY FESTIVAL will celebrate stand-up and variety comedy, bringing the unique talents of acclaimed performers from around the world, February 25-27 2016.
mcdadi.ca/1193m Waterfront Estate. Backs Credit river. 4+1 bedrooms, 6 baths. Finished W/O basement. Approx 8,000 sq ft of living space. mcdadi.ca/381t Lorne Park. Backing Credit river & ravine. 4+1 bedrooms, 5 baths. in ground pool. W/O basement. Lorne Park. Custom built. 4 bedrooms, 5 baths. Hardwood, marble & granite. Finished basement. In-ground pool. Doulton Estates bungalow. Approx 4,100 sq ft. Top quality ďŹ nishes. In-ground pool. Gorgeous theatre room. mcdadi.ca/1945m Overlooking Mississauga Golf & Country club. Approx 12,0000 sq ft. 5 bedrooms, 7 baths. In-ground pool. mcdadi.ca/934L Lorne Park. Waterfront property with riparian rights. 105 ft of rare waterfront. Move in ready. Lorne Park. Over 8,000 sq ft of luxury living. 4+1 bedrooms, 6 baths. Finished walkout basement. mcdadi.ca/1428w Lorne Park masterpiece. Soaring ceilings & glass windows. Hardwood. Finished basement. In-ground pool. mcdadi.ca/590h A stunning renovated Watercolours 4+2 bedroom, 5 bath executive home. mcdadi.ca/2067b Mississauga Road. Mature 92 x 123 ft lot. Hardwood. 5+1 bedrooms, 5 baths. Finished basement. Lorne Park. Custom built. 4 bedrooms, 6 baths. Hardwood throughout. Finished walkup basement. Port Credit Lakefront property. Rare duplex. Live and rent. Walk to the GO & all amenities. Lorne Park. No expenses spared. 80 x 135 ft mature lot. Exceptional workmanship throughout. A Lorne Park beauty on a huge 75 x 100 ft lot walking distance to a private beach, trails & parks. Mineola West. Custom built. 4 bedrooms, 6 baths. Hardwood. Finished walk-up basement. Gordon Woods. Rare main ďŹ&#x201A;oor bedroom with ensuite. Solda in ground pool & waterfall. Control 4 automation. Architectural masterpiece. Gordon Woods. 5+1 bedrooms, 7 baths. Finished basement. In-ground pool. Lorne Park beauty. Private 90 x 207 ft mature lot. 4+1 bedrooms, 5 baths. 7,133 sq ft of luxury living. Well appointed. Situated on 3/4th acres. Mature treed lot. Modern kitchen. In-ground pool. A completely renovated legal triplex with each unit boasting 2 bedrooms, 1 bath and laundry.